As the weather warms and improves, pool owners across America are looking at their swimming pools with longing and are eager to get their pools opened. Some pool owners, however, are considering a full pool renovation. Here are some tips on how to get that job done quickly and within your budget. Let's start by saying that any type of swimming pool can be renovated. This means that in-ground pools or vinyl liner above-ground pools can be renovated. Renovations can help improve the looks of the pool, can be used to fix problems with various pool systems, and can be used to just give the pool a new, fresh appearance. Generally, a full pool renovation would include at least two areas of the pool. In general terms, if you have an in-ground pool, your renovation plans may include working on the coping and tiles, building or repairing a pool patio, working on the skimmers, pump, or water lines, and working on the pool's surface itself (painting, re-plastering, etc). It can also include adding lighting elements, sound systems, and new fencing. For those with vinyl liner pools, full pool renovations may include things such as replacing the liner, repairing or replacing the liner track and coping, making repairs to the liner bottom (sand or vermiculite), and adding or repairing lights, fencing, fittings, skimmers, etc. When To Do Full Pool Renovations? The answer to this depends on where you live. If you live in a temperate climate area, renovations can be made anytime (as long is it is not raining day after day). Renovations that require paints, plaster, adhesives (and such) often require that certain ambient temperatures be present. You will have to talk to a pool renovation pro to get the best advice on this for your particular area. This is true even for those who live in hot, sunny areas. Generally speaking, the best time to start a full pool renovation is during the early spring, unless you have a lot of rain in your area. There is one caveat to this: if you have an in-ground gunite pool that has been left filled with water over the winter, make sure you get a professional to check out the ground water situation before you empty your gunite pool. It is important that the below ground water pressure is not so high that it will “pop” your pool out of its foundation when the pressure from the pool's water is removed when drained. While there are many pool renovations that owners can do themselves, there are others that are best left to the professionals. For instance, if an owner is not extremely experienced in working with electricity, he or she should contract with a pro for electric jobs, including any work on pool lights or exterior sound systems. Two other jobs that most homeowners should think twice about before taking on themselves are pool surface painting and pool replastering. In both of these cases, time, tools, and skill are required in order to get the best results. Generally, it is also less expensive to hire a professional than it is to buy all of the tools, equipment, and supplies that one needs to do these larger jobs. And this does not even take into account the time and effort needed for this kind of work. 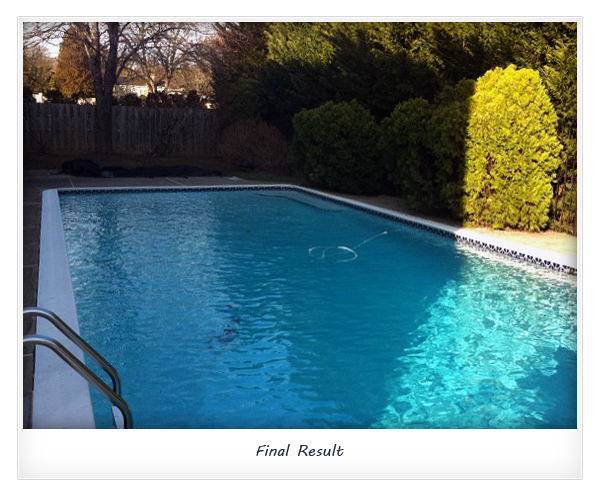 If you prefer, you can have all of this work performed by a reliable pool service company, such as Subcomm Pools. 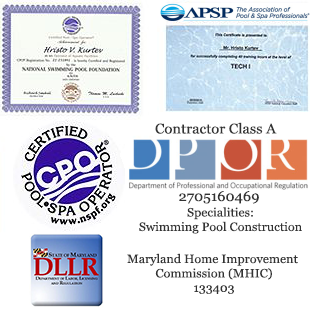 Many of those living in the Maryland, DC, or Virginia areas prefer to have a professional pool service company take care of their pool for them. What may surprise many pool owners is how affordable quality pool care can be.